Three contemporary mythic legends have fascinated me since I was a child; UFOs, the Bermuda Triangle, and Bigfoot. I have written short stories about the Bermuda Triangle and had a UFO project in development for years. But now, I am absolutely elated to announce by Bigfoot story has just been released (as of Tuesday Nov. 4th 2016) in both paperback and on Amazon Kindle. "The Last Neanderthal" is my take on the Bigfoot legend and represents my most complete and balanced work to date. It has the action and philosophy of "Caitlin Star" and the emotional character interaction of "The B Girl". In movie pitch lingo it could be described as "King Kong" meets "Harry and the Hendersons", by way of "Rise of the Planet of the Apes". I hope you enjoy this brand new, deeply personal work. 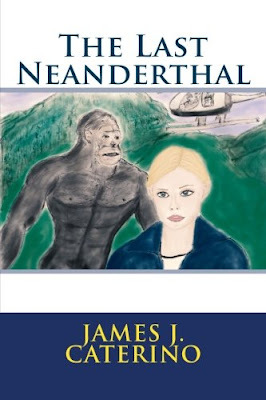 The Last Neanderthal is a harrowing and heartfelt adventure from the vivid imagination of James J.Caterino, author of Steel Phantom, The B Girl, and the Caitlin Star series.